Although facials are often seen as beauty treatments for women, they are also great for men! Men need to pay attention to their skin too, and getting the Atlantis Gentleman’s Facial makes this easy! If you’re looking for a facial for men in Maryland, Northern Virginia, or Washington, DC, Atlantis Medical Wellness Center is the place to go. We take a special approach to male skincare needs to provide you with a treatment that is right for you. Learn more about our facial for men and then give us a call to schedule your appointment! Many men tend to ignore their skin, but this isn’t the way to stay young-looking! As you age, your skin struggles to repair and renew itself, which can sometimes give it a dull appearance. Facials for men can restore skin to its full potential. This is a great way to enhance your appearance without going through intensive surgery. Facials for men are pain-free, relaxing, and can give you great results. It’s a good choice for any man who wants to look his best! Many men are used to hearing the women in their lives talk about the benefits of facial treatments – now men can experience them too! At Atlantis Medical Wellness Center, our facial for men includes cleansing, extractions, exfoliation, and a massage of the face, shoulders, and neck. You will walk out of our center feeling not only at your best physically, but also peaceful and relaxed. Why leave all the great skincare tools to the ladies? 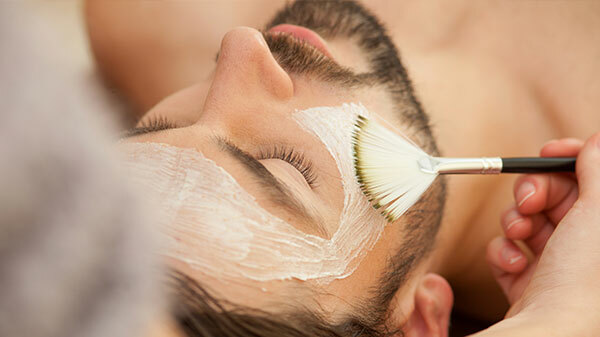 Get a facial treatment for men and give your skin the care it deserves! Ready to see what a difference a facial for men could make for you? Give Atlantis Medical Wellness Center a call. We have several options if you’re looking for a facial for men in Maryland, Northern Virginia, and Washington, DC, so you can come to us to get the care your skin needs to be healthy. Whether you’re looking for microdermabrasion or facial treatments for men, Atlantis Medical Wellness Center is the place to go. Why deal with painful procedures and a long recovery time when you can get immediate results and relax at the same time? Our Atlantis Gentleman’s Facial is definitely a treatment you should consider. Contact us to learn more about our facials for men or to schedule your appointment today!